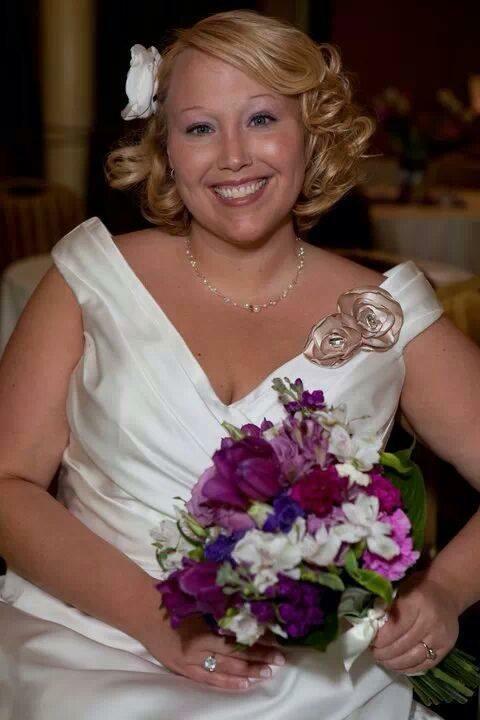 The Claxton Community lost a beloved teacher and friend, Alison Wood, in December of 2013 when she lost her brave battle with stage 4 glioblastoma (brain cancer). Alison was more then our Technology teacher -- she was vibrant, loving person -- Always welcoming and encouraging smiles to all those she met...big and small! Our goal is to create a memorial that embraces Alison's joy and heart. For that, our school has selected a "Buddy Bench" - which will be placed on our playgrounds. Special thanks to our Beautification Chair for helping getting this together - With the help of Mr. Thoma and the GCS Maintenance team - our benches are installed on BOTH Playgrounds! My name is Alyson Bucks and I am the mother of Christian Bucks. I recently came across an article about your school’s Buddy Bench. Congratulations! I was deeply moved to read how you are choosing to honor the memory of a beloved teacher with a Buddy Bench. My son, with the help of his amazing principal, is the boy behind the Buddy Bench movement and he gets very excited whenever he hears about another school getting a bench. Thank you for embracing the idea and seeing its value on your playground! I hope it brings your school much happiness and many lasting friendships. We have a Facebook page (Christian’s Buddy Bench) and a website (http://buddybench.org) to provide people with information and news about the Buddy Bench. Please contact us if you have any questions. We are happy to help in any way that we can! If your students have any questions and would like to talk or Skype with Christian, he is happy to do that. There is a map on our website that is keeping track of the benches we hear about. If you have any pictures of your bench, once it is in place, that you would like us to post on our website and/or Facebook page, please feel free to send them to me. I would be happy to put them on the site! Thank you for your efforts! As seen on the "Today Show" - The "Buddy Bench" was a simple idea created by 3rd grader, Christian Bucks of Pennsylvania, to eliminate loneliness and foster friendship on the playground. As Christian described it - the way the buddy bench works is "...if students feel lonely on the playground without anything to do, they can go to the buddy bench, and another student will come to the bench and ask if they want to play or talk. If two people are sitting at the bench, they could ask each other if they want to play." Christian has described the buddy bench as a having a purpose to "grow our dream circle of friends.